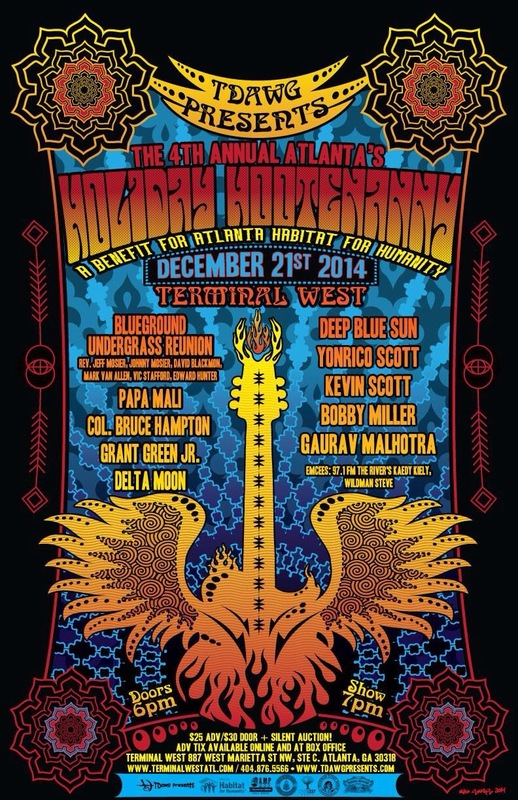 Atlanta’s Holiday Hootenanny Poster unveiled! Jump on board the Holiday Hoot Express right now and help the cause! Please spread the word to your friends and family about this amazing concert experience, all for a wonderful cause ~ Atlanta Habitat for Humanity. There will be some mighty fine items to bid for during the silent auction as well, so stay tuned! ← Blueground Undergrass Reunion at Holiday Hootenanny,Sun 12/21!